In an historic announcement this month, Lister Cars, one the greatest names in British sports car manufacturing, has stated it will return to its Cambridge roots to once again reinstate production of an exciting new Lister car. After a gap of almost 25 years since the last Lister rolled off the production line, the three Lister companies of George Lister Engineering of Cambridge, Brian Lister Light Engineering and Lister Storm, have been reunited into one organisation that will herald the return of one of the greatest sports racing cars of the 1950's - the fabulous Lister 'Knobbly' Jaguar. In an exciting move that will ensure the return of the Lister name to new car production, the three companies have been consolidated within a new business called Lister Motor Company Limited, after a significant investment by Warrantywise, one of the UK’s most successful aftermarket used car warranty providers. Lister Motor Company Limited has invested in a new, state-of-the-art facility in Cambridge, which includes CNC machining, 3D scanning and Catia design, all of which will enable George Lister Engineering to develop and deliver an exciting and near identical development of the historic, race-winning, competition and track car. Brian Lister’s original working drawings and manufacturing jigs have all been re-commissioned, and many of the team involved in the original 1950’s project with Lister Cars have been called back into service, including Martin Murray, Colin (Chippy) Crisp, Graham (Curley) Hutton, Laurence Pearce and even Brian Lister himself. Heading up the manufacturing project is Mark Hallam, technical director at George Lister Engineering and Jerry Booen of D Type Developments will also be assisting with the project. The cars will be built to be identical to those of 1958, and will be race-ready 'out of the box' to race with BHL-C (C for Continuation) chassis insignia and up to FIA/HTP Appendix K specification. Race proven, Jaguar D Type-specification engines and D Type gearboxes will be supplied by world-renowned experts, Crosthwaite & Gardener, and all race preparation and track commissioning will be undertaken by Chris Keith-Lucas of CKL Developments, another leading specialist in historic Jaguar restoration and preparation. 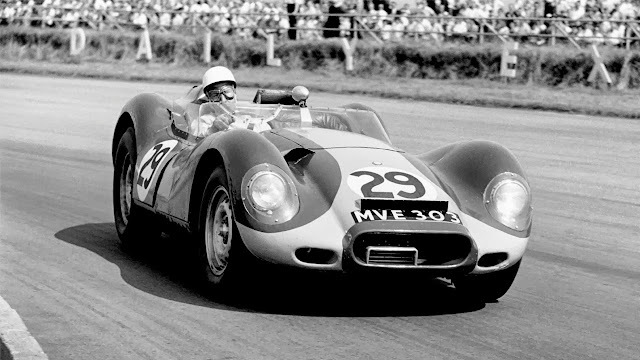 Last but not least, that fantastic streamlined Knobbly body will be re-created using the original Shapecraft body bucks by the immensely skilled artisan craftsmen, Clive Smart and Adrian Breeze. A series of Lister sponsored historic race meetings are planned for 2015, in time for the Lister 125th year anniversary. For more information, please visit: www.listercars.com.